The students are trained in the application and use of computers under expert guidance in health care and nursing education. Adequate numbers of computers, printers, scanners backed by UPS systems and generators are provided in the computer lab. 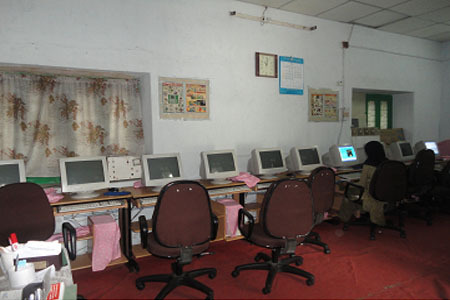 The students are also trained to use the Internet. 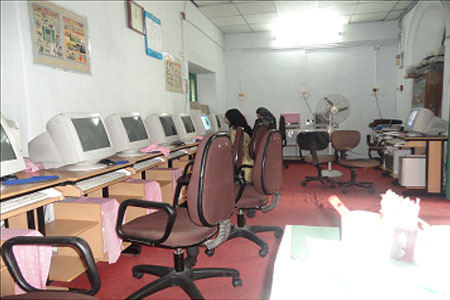 The institution has an array of quality teaching aids such as the overhead projector, liquid crystal display projector, film projectors, televisions, compact discs, digital video disc players, public address systems, models, mannequins, skeletons & bones, charts and all other equipment required to impart quality education to the students in Health and nursing. A thorough medical examination of the students is conducted at the beginning of the academic year with the necessary follow up. The immunization program is an integral part of the health care program at PDSCON. Medical and family welfare counseling is carried out by professionals at the institution. A fully equipped sick room with a trained nurse is available in the hostel for the care of sick students in emergencies. The students of PDSCON also avail facilities of the Princess Durru Shehvar Children's & General Hospital for medical treatment whenever required. First aid boxes are available in the office, hostel and buses for emergency care. 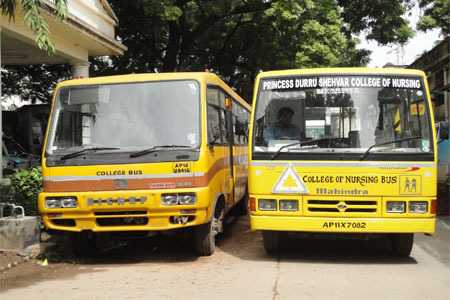 The Princess Durru Shehvar College of Nursing has its own transport facility comprising of buses and vans to transport students for all outdoor visits and field trips.